Ronald May 4, 2017 Video Marketing with a Human Touch: Top Tips for Giving Your Business a Familiar Face2017-05-04T19:13:36+08:00 Topics: Business. Subjects: Tips and Guides and Video Marketing. If you help your company with its marketing strategies, hopefully, you already know about the power of adding video content to any campaign. Video is an immediately consumable medium that can capture the attention of people quickly and effectively. And when the video content is great they share it with others, giving your company even more exposure. But maybe you aren’t sure how to create the best videos you can for your company. Maybe you’ve created a couple and they haven’t done as well as you would’ve like them to. This is a problem that many people new to video marketing have faced, but it can be overcome with a little research and patience. Here are a few ways you can get people to connect with your video content better by giving you company a familiar face. The ultimate goal of any video marketing content is to get your viewers to relate to your message. One of the easiest ways to do that is to create a style that reflects your company’s personality and stick with it across all of your videos. This really is easier to do than you may think. If you want to use animations in your videos, always work with the same animator and create a style together that matches your company’s image. Try to find a theme song that you can use at the beginning of all of your videos and pair it with the same title card display: these will make your video instantly recognizable to your viewers. If you have a host on your videos, use the same one or two people every time as this will help create a bond with your audience. People are social animals, and we automatically connect with and respond to other faces. People take visual cues from others and adapt their moods and feelings around them without even thinking. This is why it pays to use real people in your videos whenever you get the chance. When someone smiles, you tend to smile; if you see someone who in angry, your can find yourself feeling angry as well; when someone cries, it’s hard to hold your own tears back. Having someone in your videos who people can respond to is a great way to keep them engaged: they will see the excitement when the person talks about your product or message and they will respond in kind. Again, it’s helpful to have a few people for this, as it allows your audience to build a bond with them quicker than having different people on every time. This is not a hard-and-fast rule, of course: depending on your marketing strategy, you may want to use a lot of different people. If you want to really connect with your audience, you want to use a professional service if you can. 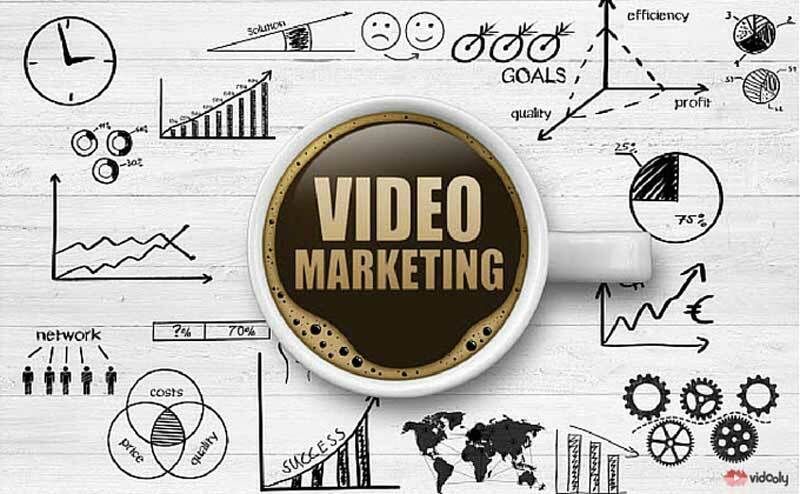 Video production services like Lifetime Media are trained and equipped to help you realize your video marketing goals and they will help take a lot of pressure off you. The higher the quality of the video is, the more likely your audience will respond positively to it. No matter how great your products, services, and messages are, your viewers will balk at the video if it’s filled with static or looks like it was shot on a camcorder from the 1980s. And that isn’t to say you can mess around with the quality of your videos, but having a professional find the right look for your marketing campaign is much easier than figuring it out for yourself. Don’t try to cram in a bunch of different information and messages into the same video. Take the time to whittle your message down to one or two great pieces of information and focus on those in one video. If there are other things you want to talk about, create another video for it. The reason for this is because you want your audience to stay engaged, and if you try to talk about too many things at one time, they will almost always lose interest. Stay focused, keep on message, and your videos will ultimately be better for it and more effective in the long run. Getting your viewers to respond to your videos can be tough, but with some practice and a little help, you should be creating awesome marketing video content in no time. Bailey Nolan works in the web-marketing industry and has done for several years. He writes about industry trends and how business owners can take control of their own marketing efforts. What Is SSL Certificate and How to Enable HTTPS on Your WordPress Blog?